Details on battery life come on the heels of news that Apple has officially joined the Wireless Power Consortium. It's expected that the "iPhone 8" —as well as LCD-based "iPhone 7s" models —will include wireless inductive charging, based upon the Qi standard overseen by the consortium. Beyond battery improvements and an edge-to-edge OLED display, the handset is also expected to feature a curved glass back and entirely new industrial design. It's rumored that Apple could embed key components of the device —including the earpiece speaker, Touch ID sensor and FaceTime camera— beneath the OLED screen, allowing for a seamless appearance on the front of the device. All three handsets— the 4.7-inch "iPhone 7s," the 5.5-inch "iPhone 7s Plus," and the 5.1- to 5.2-inch "iPhone 8" are expected to debut in Apple's normal September timeframe later this year. 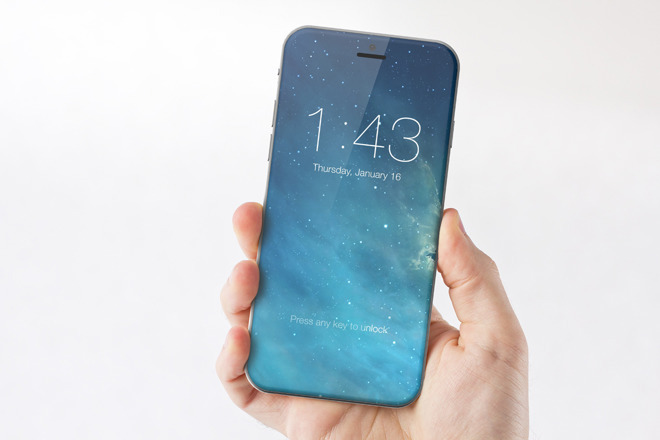 It has been suggested that the "iPhone 8" could cost upwards of $1,000.